We are at the peak of our powers, and now it happens. Cramp! Many of us know it and nobody likes it. It can make life pretty difficult for athletes and ruin a perfectly well-started run or training session. Why should we not to be ready and finish what we started so well? Often there is so little left to achieve our desired goal. So let us not deprive ourselves of it! 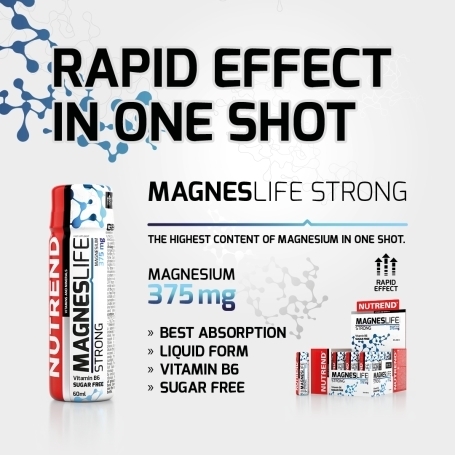 Large dose (375mg) of fast absorbent liquid form of magnesium enriched with vitamin B6. 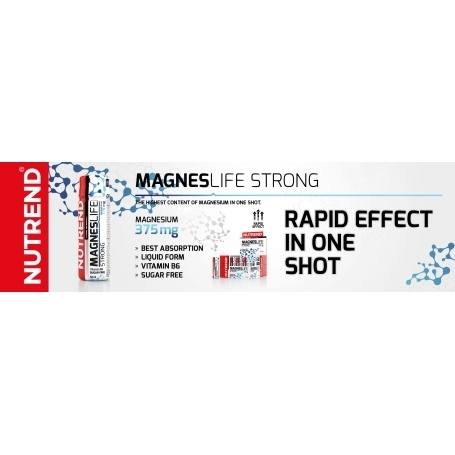 Athletes usualy use this product as first aid during urgent lack of magnesium. 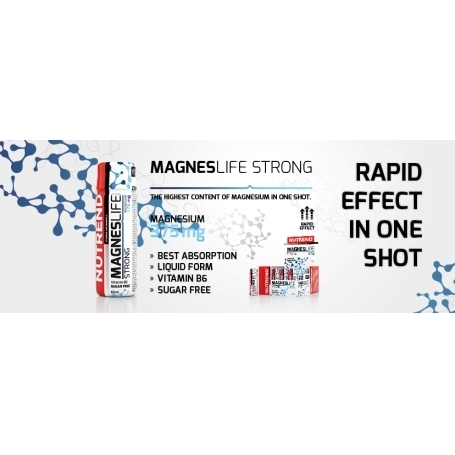 Deficiency of magnesium can cause cramps, slackness or headache. 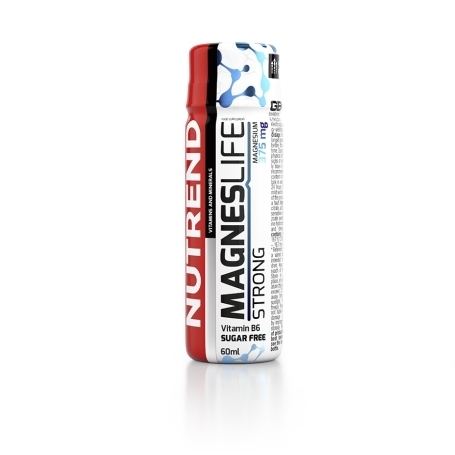 Large dose (375mg) of fast absorbent liquid form of magnesium enriched with vitamin B6. 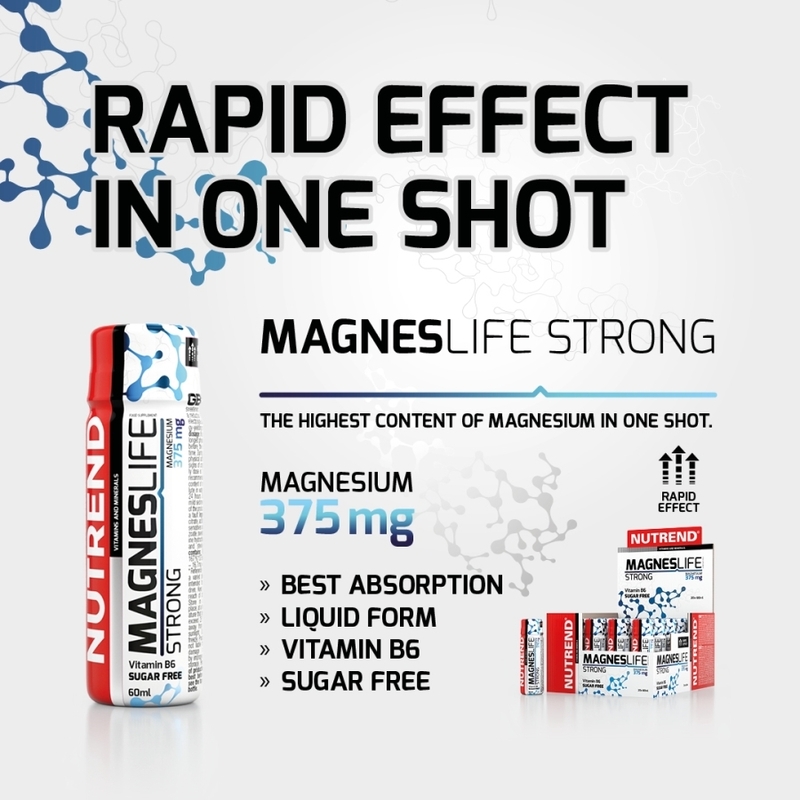 Athletes usualy use this product as first aid during urgent lack of magnesium. 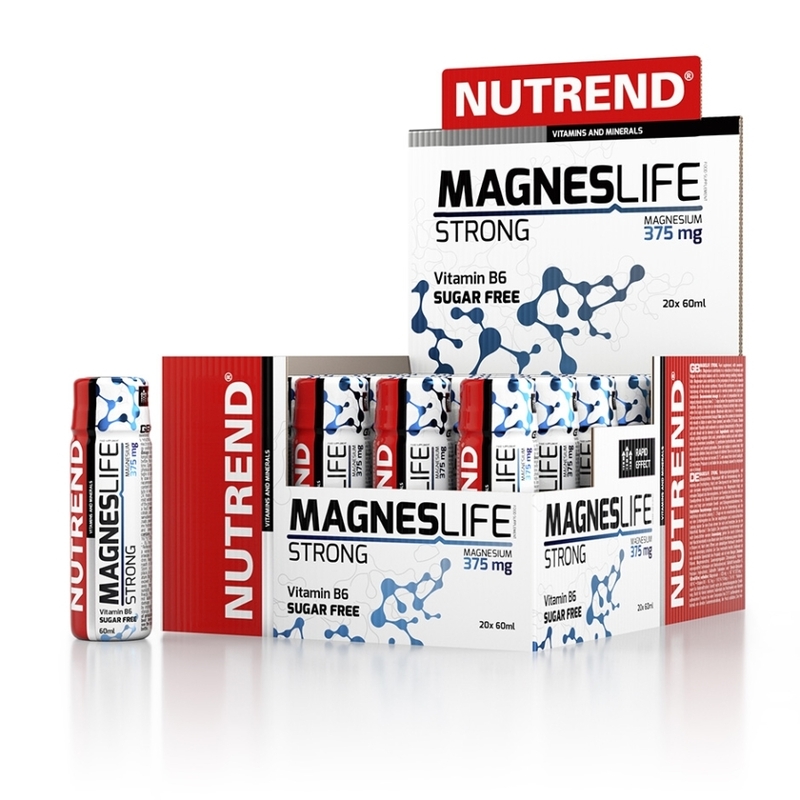 Deficiency of magnesium can cause cramps, slackness or headache. Heavy physical activity, diet mistake orhighlevel of stress can lower the level of magnesium in body. Together with vitamin B6, it stops the tiredness and fatigue, it supports electrolytic balance, supports energetic metabolism and helps to normal nerve system functioning. Magnesium also brings normal syntesis of proteins and muscle activity. 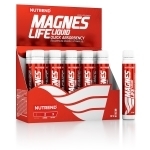 Food supplement, with sweeteners. 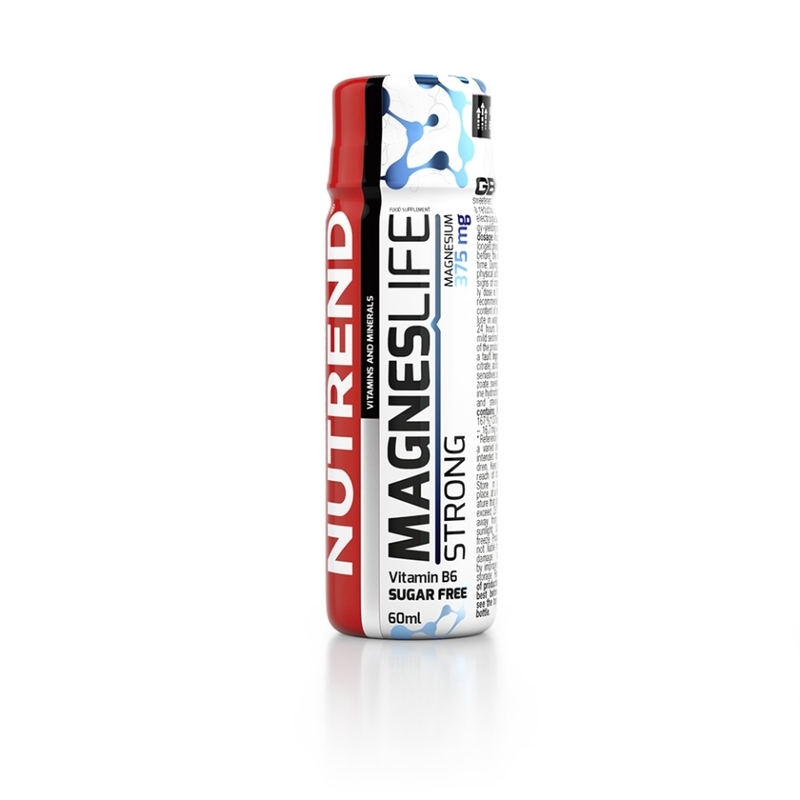 Magnesium contributes to a reduction of tiredness and fatigue, to electrolyte balance and to a normal energy-yielding metabolism. Recomended dosage: In a case of preparation for prolonged physical exercise take 2 - 3 days before the expected load before bedtime. 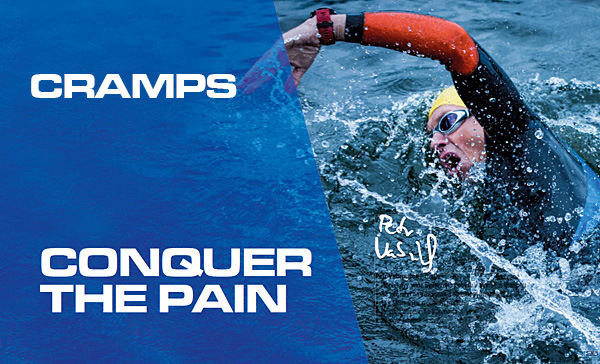 During a long-term or demanding physical activity take a dose when first signs of cramps appear. 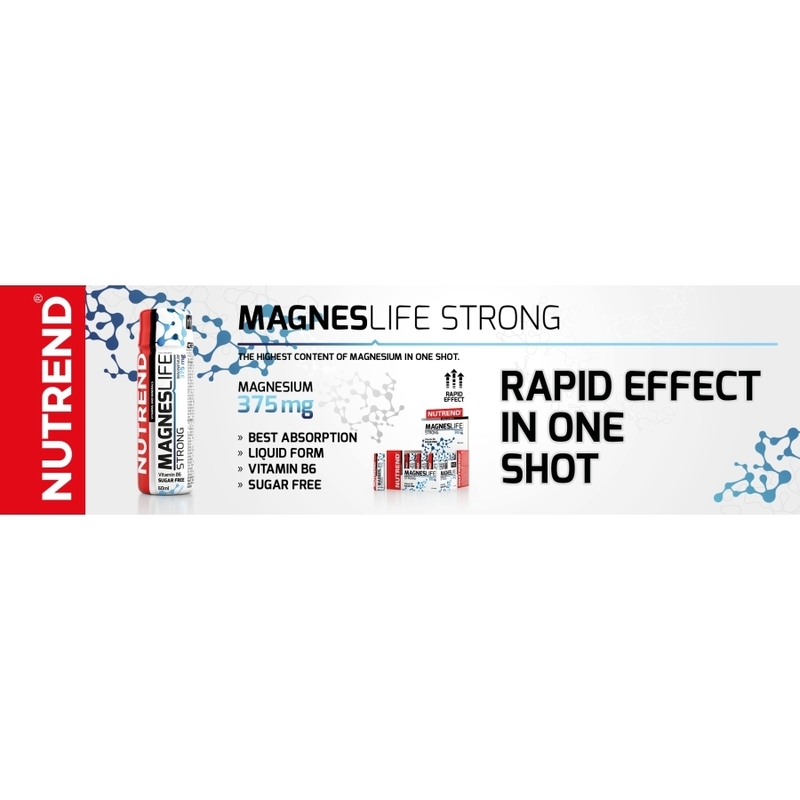 Maximum daily dose is 1 monodose. Do not exceed recommended dosage! Use: pour the content of monodose into mouth or dilute in water. Once opened, use within 24 hours. Shake before use! Possible mild sediment is a natural characteristic of the product and should not be deemed a fault. 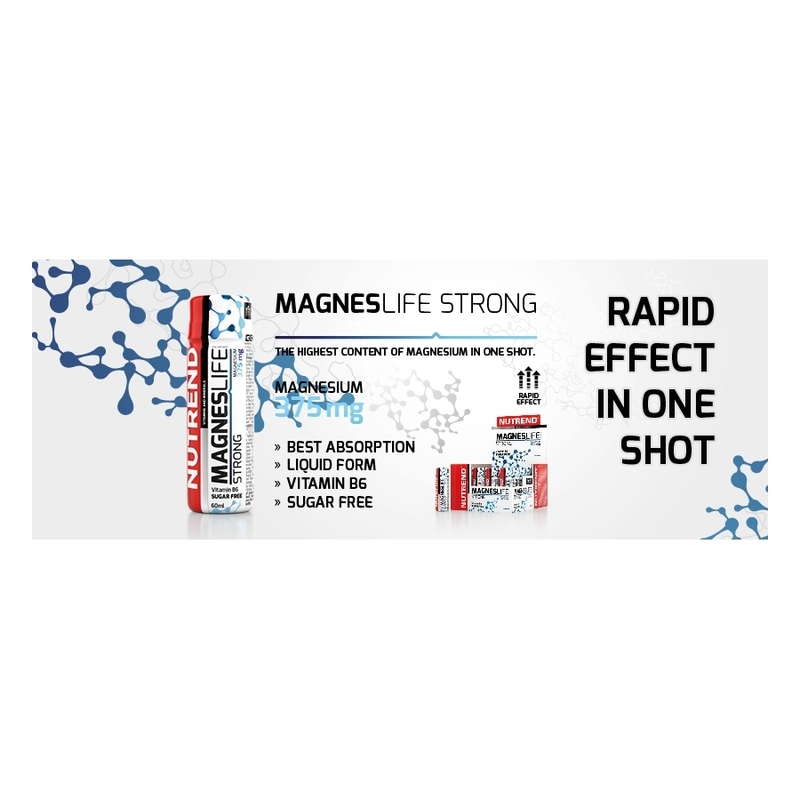 MAGNESLIFE STRONG Ingredients: water, magnesium citrate, acidity regulator citric acid, preservatives sorbic acid and sodium benzoate, sweetener acesulfame K, pyridoxine hydrochloride, sweeteners sucralose and steviol-glycosides.